His enormous talent came from a pain the film never explains. And leading the charge was Farley, a pants-down partier prone to belly flops and pratfalls that were inspired by John Belushi’s Bluto. He brought a similar physicality to “Saturday Night Live” to the point producer Lorne Michaels feared he would suffer permanent injury like Chevy Chase. I Am Chris Farley is not a warts and all tale like the Amy Winehouse documentary but a testimonial from people who knew and loved him including; Bob Odenkirk, musician Ike Reilly, Adam Sandler, Christina Applegate, Bob Saget, Jon Lovitz, Bo Derek, David Spade, Mike Myers, Lorne Michaels and Dan Aykroyd. One of its producers is his brother, Kevin Farley, which explains its loving tone. And one of its directors has created a series of “I Am” biopics about people like Evel Knievel and Dale Earnhardt. I Am Chris Farley airs Monday at 8 p.m,. on Spike TV. What is intended as a celebration of Farley’s life and career follows the sad cradle to grave trajectory of a shy, vulnerable and needy man whose enormous talent came from a pain the film never quite explains. Neither does it dally in unpleasant details about his lurid drug overdose in 1997. His death is talked about by still stunned partners-in-crime Myers and Spade and “SNL” godfather Aykroyd who lost Belushi in similar fashion. Someone mentions casually Farley was in rehab 17 times. He was “a very sweet guy before midnight,” someone says. But you cannot be fat and abuse your body, friend Tom Arnold says he told Farley. Farley’s “SNL” characters – Chippendale dancer, inspirational speaker Matt Foley (named after a priest he met at Marquette) and a talk show host awkwardly interviewing Paul McCartney – were extensions of a real life anxiety-driven physicality. He channeled that energy into performance while studying with improv guru Del Close at Second City in Chicago where he met Myers. At his first acting class in Madison he brought a case of beer. His loving puppy dog quality developed growing up in a rowdy Irish Catholic Madison family with three brothers and a sister. His father encouraged chaos “until someone gets hurt” and his mom was told by a nun that fellow students weren’t laughing with Farley they were laughing at him. 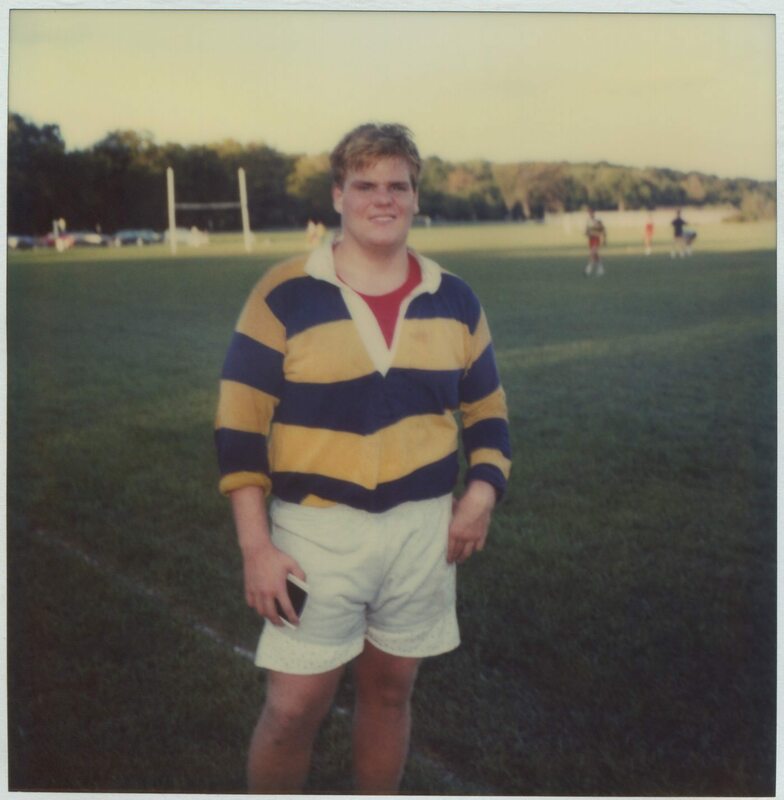 Home movies taken by the family give Farley’s childhood an all American, boy next door patina but are juxtaposed with Farley regaling David Letterman with self deprecating anecdotes about a misspent youth. His first experience on stage was at Camp Mohawk in the Woodruff/Minoqua area.